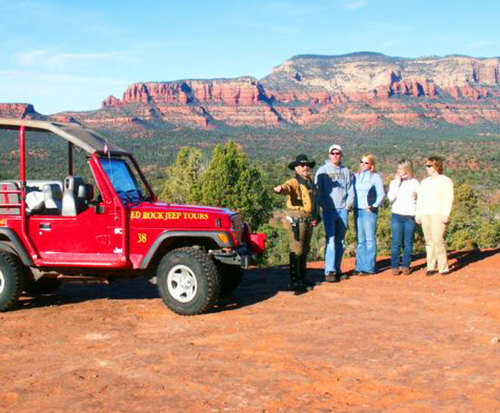 Visit some of the most photographed sites in all of Arizona and peer over steep canyon cliffs into the deepest areas of the Grand Canyon with the Sedona Overlooks & Cathedral Rock Jeep Tour. You'll begin your adventure in Sedona where you'll meet your tour guide and prepare to set out on an excursion through the extraordinary red rock country of America's southwest. 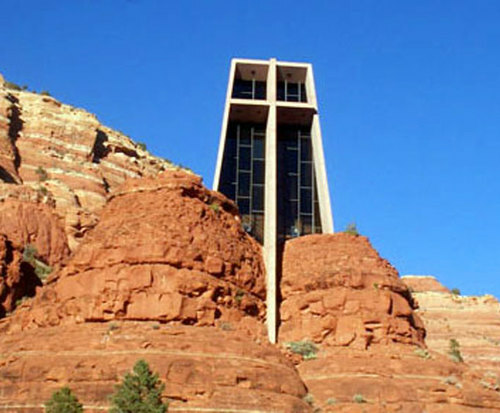 The Sedona Overlooks & Cathedral Rock Jeep Tour provides you with a well distributed tour through the Sedona areas, stopping at all the best overlooks. This tour is absolutely mind-blowing and the magnificent view from the tops of overlooks is truly a sight to behold. As your guide fills you in on all the interesting history and facts about the area, you can feel free to snap as many photos as you'd like. You'll most likely end up taking hundreds of photos home with you! 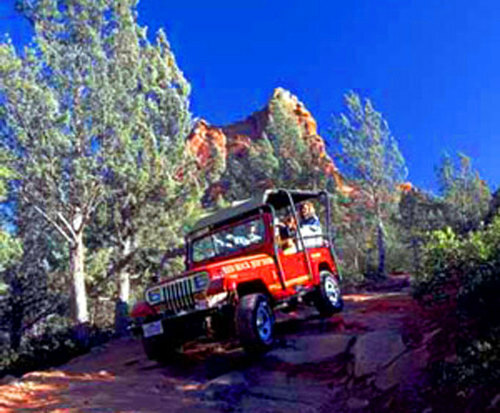 The highlight of the Sedona Overlooks & Cathedral Rock Jeep Tour is a visit to Cathedral Rock, one of the most photographed sites in the state of Arizona. This magnificent rock formation towers high above the earth and rests upon a red sandstone base. The awe-inspiring beauty and stature of this natural landmark has attracted thousands of visitors from all over the world and is said to be one of Sedona's strongest vortexes. This tour allows you to take in as much of the sights as you want and visitors of all ages will appreciate this once-in-a-lifetime adventure that's both educational and relaxing.